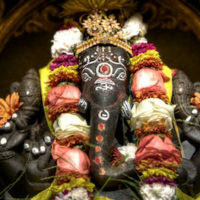 Monthly Pujas are longer than the daily Pujas, lasting approximately 1-1/2 hours. 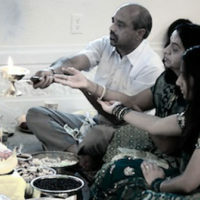 There are several differences between the monthly and daily Pujas. 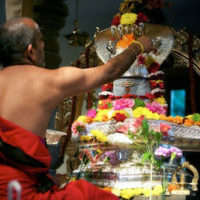 In the monthly Pujas, the deities are bathed in milk, water, etc. 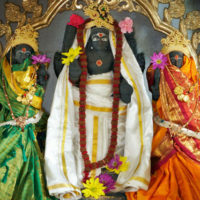 ; dressed in fresh clothes; and extra mantras are chanted.